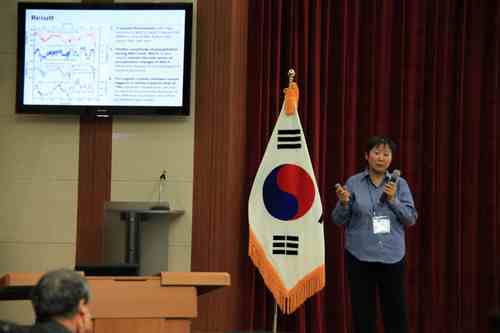 The 5th East Asia AMS Symposium was held from 15-18 October, 2013 in Daejeon, Korea. 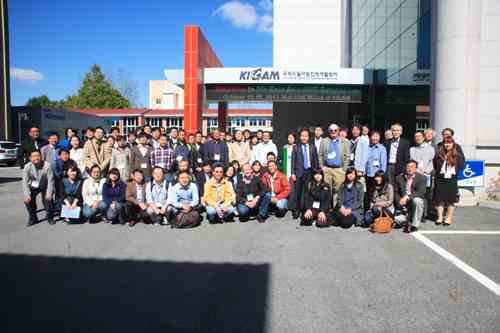 About 100 researchers and graduate students from China, Japan, Korea, America, Canada and Australia attended the symposium. The session topics contained the development of AMS technology, 14C age calibration and application for environmental science, and long-term records of 10Be, 26Al and 129I, etc. There are 72 abstracts, 45 posters and 27 oral presentations (including 8 invited presentations) in the symposium. Prof. Weijian Zhou was invited to be the committee member of Scientific Advisory Committee, and give a presentation named “Using AMS-14C technique to trace fossil fuel CO2 in the atmosphere in Xi’an”. Other participants of IEECAS introduced the measurement of 10Be/26Al exposure age, the research of 10Be concentration in loess space section, the measurement methods of micrograms 129I-AMS, and the new 14C dating method of bone samples, etc. Through communicating with international counterparts, it was helpful to understand the newest achievement of AMS technology and related research field in the world especially in Asia.